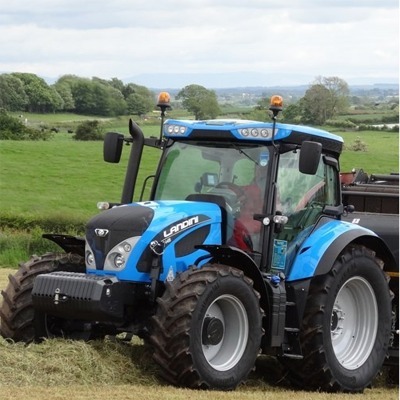 Gary Brogan Tractors are the authorised Landini dealership for Limerick, Clare and Kerry. The famous Landini brand is part of the Argo Group which also includes McCormick. The Landini tractor has been produced in Fabbrico, Italy since 1884 and the current line up ranges from 40HP to 280HP. As a Landini main dealer, we offer the full range of Landini farm vehicles as well as genuine parts, servicing and merchandise. With a range of tractors for every need and incredible versatility, from the small ultra-compact Mistral, up the impressively powerful 7 Series, Landini really do have a tractor for all farm applications, contractor needs, forestry work or plant hire. As an authorised Landini dealership, we offer original spare parts which come with a Landini 12 month guarantee. Landini maintain extensive stock on all spares, including complete engines, for every tractor they manufacture. The company also retains a large stock of spares for discontinued tractors going back at least 10 years. Gary Brogan Tractors can supply any model from Landini’s wide range of tractors. From small, light tractors specifically designed to work in orchard applications up to the largest, most powerful tractors suitable for agricultural contractors and all working conditions. The sheer diversity in the range means that whatever your needs and budget, there is a Landini tractor for you. Landini’s history and famed quality of build means that you can be sure of getting a long working life from your tractor. As authorised Landini dealers we offer genuine spares, maintenance and servicing, keeping your tractor in peak condition throughout its usable life. Call Gary at 069-78942 for more information.